Recently our New Copford Place care home in Colchester welcomed some very special visitors. 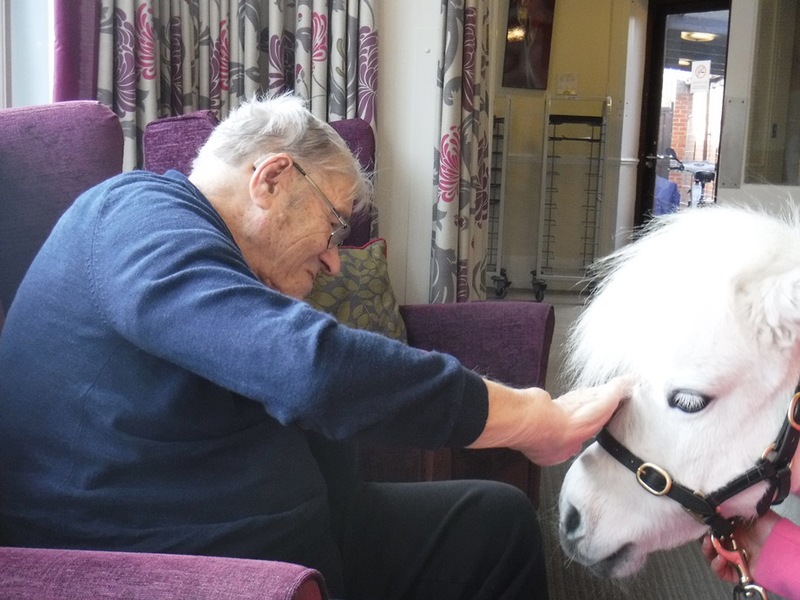 Thanks to Magical Miniature Ponies, two ponies came in to the home to spend time with residents and their relatives. Find out more about our Essex care home, New Copford Place. We’re always on the lookout for exceptional health care assistants across our homes. We offer competitive pay, excellent benefits and the chance to work in a dedicated, caring team. Find out what vacancies are available near you and be part of our team at Friends of the Elderly.